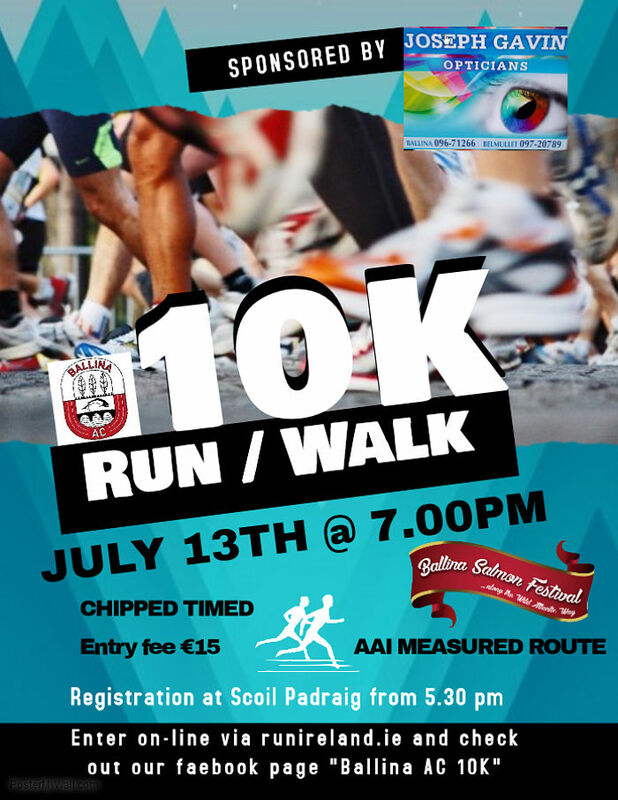 Once again, the Ballina Athletic Club Ballina 10k run / walk takes place as part of the Ballina Salmon Festival Programme of events. 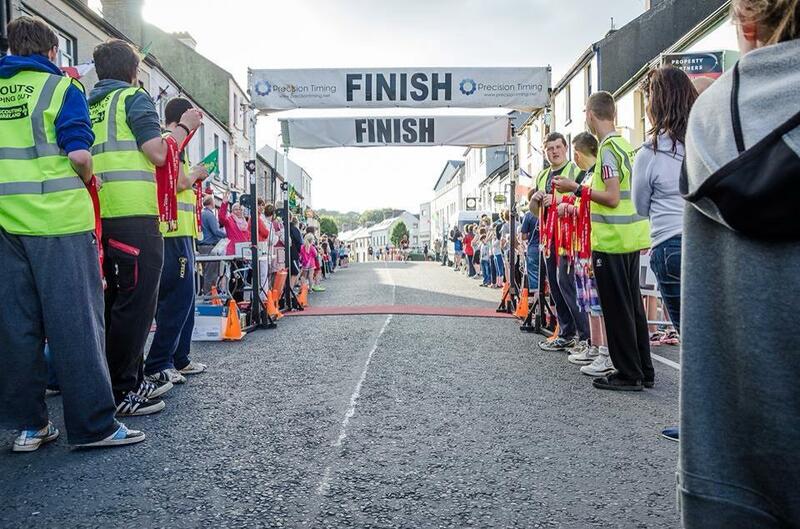 The event is once again kindly sponsored by Joseph Gavin Opticians and the race route is AAI measured, and a very enjoyable one that takes you all around Ballina. Changing facilities and showers available. For further information contact Ann Egan on 087 4186895.